CHARLOTTE, N.C. -- As Tropical Storm Hermine nears the Florida coast, Duke Energy is prepared there and planning for potential severe weather impacts in the Carolinas beginning as early as Friday. 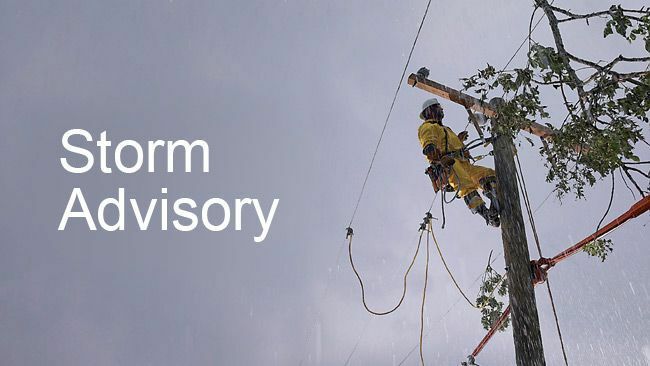 Duke Energy and its staff of meteorologists are closely monitoring weather conditions, activating their storm center and making preparations with crews and equipment to respond as quickly as possible should customers in the Carolinas experience any disruptions in their service. "Tropical storms like Hermine are often challenging to predict precisely and can have significant impacts over a large area in the storm's path," said Steve Leyton, lead meteorologist for Duke Energy. "Our team is tracking the storm to ensure we're ready wherever those impacts might be in the Carolinas, and we encourage our customers to be prepared, too." Duke Energy will begin moving additional crews and equipment to the eastern part of North Carolina and South Carolina Friday morning, where highest winds and greatest rainfall are expected. Several days' supply of drinking water. If severe weather moves through the area, be watchful for downed or sagging power lines. Consider all lines energized as well as trees, limbs or anything in contact with lines. Please report downed power lines to Duke Energy. Text message – Customers can text OUT to 57801 to report an outage from their mobile phone. Be sure to use the mobile phone associated with your account. To stay informed of future power outages, sign up to receive power outage alerts from Duke Energy by texting REG to 57801 or choose from text, email or phone alerts by enrolling at duke-energy.com/OutageAlerts. Visit Duke Energy's storm preparedness website – www.duke-energy.com/storms – for links to outage reporting tools, safety information and tips. There is also an interactive outage map where customers can find up-to-date information on power outages, including the total number of outages systemwide and estimated times of restoration.